There are both shampoos without sodium lauryl sulfate and shampoos with this substance as an ingredient. Although there are many disadvantages of sodium lauryl sulfate to have been proved, this substance is still needed to make the shampoo foamy and thick so that users will feel comfortable and clean when they wash the hair. Accompanying with the cleaning effect of the agent, sodium lauryl sulfate also makes your hair get dryer, and even remove the hair color for the ones with dyed hair. If you let sulfates stick on the skin, you can be irritated and even cope with skin allergy. So if you go to hair salons these days, they will recommend you to use their shampoo products with no ingredients of sulfate agent after harsh treatments. However, if you purchase these products right in the salons, the price would be much higher. Don’t worry, we will introduce to you the best sulfate-free shampoos in this article. A necessary feature of shampoos for oily hair is the capacity to balance the level of sebum secretion. Moreover, it should not cause harmful effects to the hair and scalp in the long term. You can make use of shampoos without sodium lauryl sulfate and sodium laureth sulfate for greasy hair to nourish the hair length by combining it with some effective essential oils to increase the effects. 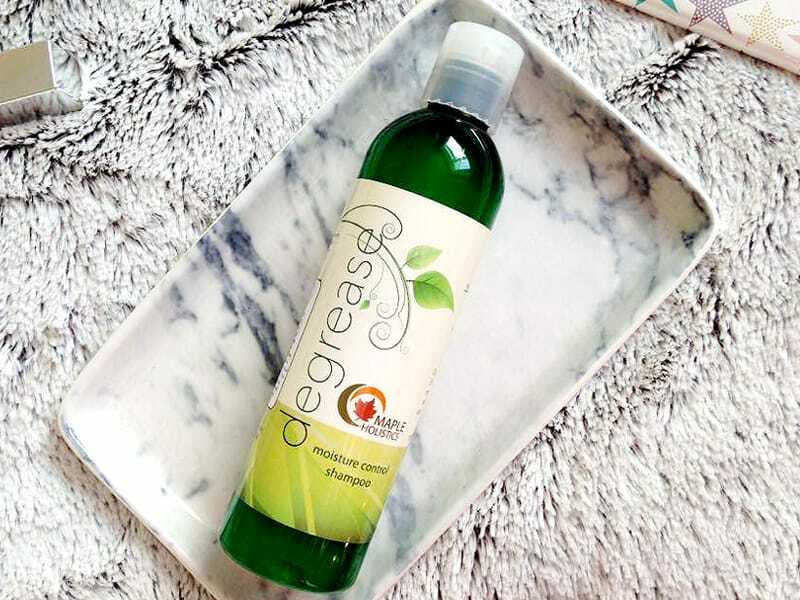 For this kind of shampoos, you can consider Maple Holistics Degrease Shampoo for Oily Hair, a famous brand among recommended products for oily hair and itchy scalp. With all natural ingredients and a comfortable scent of rosemary, this product is loved by users who are in troubles with an oily scalp. By using this product, the sebum production will be well balanced so that the trouble of greasy hair can be solved for you. All of the ingredients of this shampoo are entirely botanical, including keratin, argan oil, basil, jojoba oil, French cypress, lemon, and rosemary. No harmful ingredients especially sulfate included in this product, so there is no harmful effect caused on your hair. This shampoo contains no synthetic fragrances, parabens, and phthalates. To apply this shampoo, you have to let it be on the scalp for some minutes and rinse off. This will help to increase the effectiveness of the active substances in the shampoo and let them absorb well into the hair length and scalp. Remember to massage the scalp gently with your fingers when you apply the product. You can also use condition after that, but just apply it only on the hair ends. What are parabens? They are often used in many cosmetic products as preservatives to increase the life span of them. Parabens help to protect your makeup products from bacteria. However, they are also harmful substances as many experts consider them harmful and connective to harsh diseases such as cancer. To ensure the safety of shampoos, many producers nowadays tend to exclude parabens and sulfate in their products. An outstanding brand for shampoos without sodium lauryl sulfate and parabens is Kind Natured Volumising Rosemary and Mint Shampoo. 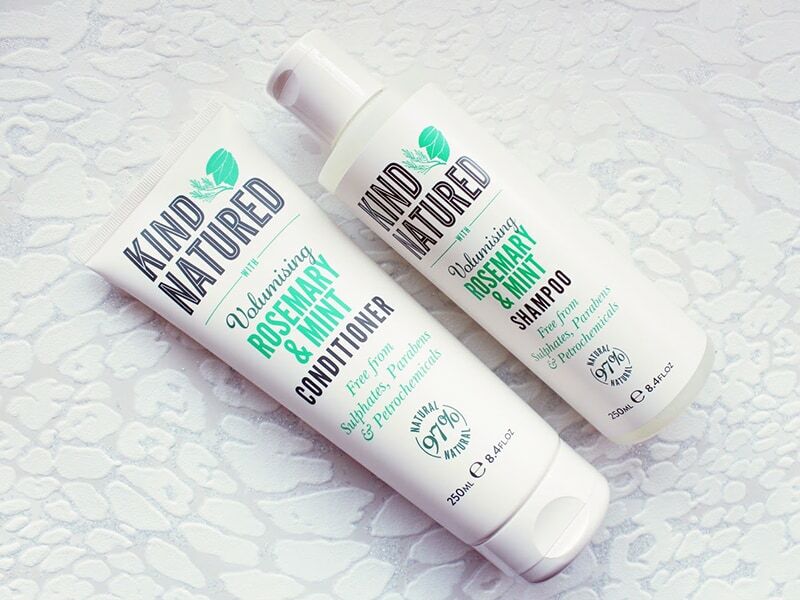 Many of us have known that products made by Kind Natured are famous for their botanical extracts and ingredients. With different formulas of the shampoos, the effect will also be varied to treat different problems of the hair and scalp. For instance, the combination of sea kelp and bamboo is effective to smoothen the curls; or by adding mint and rosemary together, the shampoos can keep your hair flat. Kind Natured Volumising Rosemary and Mint Shampoo can make good foamy lather with just a little amount of product. This shampoo contains a very comfortable smell of natural ingredients combining together. Rosemary creates fragrance like you are in a hair salon, while mint keeps your hair clean longer. For girls with oily hair, it is the most important to have clean hair for as long as possible. It is better to stay away from shampoos with sulfate ingredients if you have dry and damaged hair. Sodium Lauryl Sulfate and Sodium Laureth Sulfate both act as surfactants. Although they are different in terms of intensity, they can both damage the hair. At the same time, many shampoos also include sodium chloride, which often does not occupy the large content in shampoos but still dry your hair. Even if your hair is smooth and healthy, it is also not a good idea to use these products. Instead, it would be a good idea to use shampoos without sodium laureth sulfate and sodium chloride. For people with curly hair, their hair can be healthier than the hair of other people, but it is also difficult for the natural oil to reach the hair ends. Thus, if you use sulfate shampoos, it can make your hair even dryer and get damages. On the other hand, without ingredients like sodium lauryl sulfate, your curls will be softer, smoother and shinier. Normal sulfate-free shampoos can be less foamy, but it is not the case of L’Oreal Paris EverCurl. Not only bring a great cleaning effect, but this shampoo also deals with frizz very well. People who have used this product reveal the incredible control effect toward frizz can be up to 48 hours. Furthermore, with natural ingredients, your curly hair will be carefully nourished and more manageable. You cannot expect the effect of this shampoo to show early, but it will be realized after several days. Many shampoos include ingredients like Cetearyl alcohol, panthenol, glycol, and phenoxyethanol their list of components. They are different kinds of alcohol, which acts a preservative, enhances the shine of your hair and inhibits the foam. However, they also have bad sides to shampoo, as they make your hair get dryer. It is not a tough task to check over the ingredient list of the shampoo that you are using to see whether it contains alcohol or not. It will help protect your hair health better. 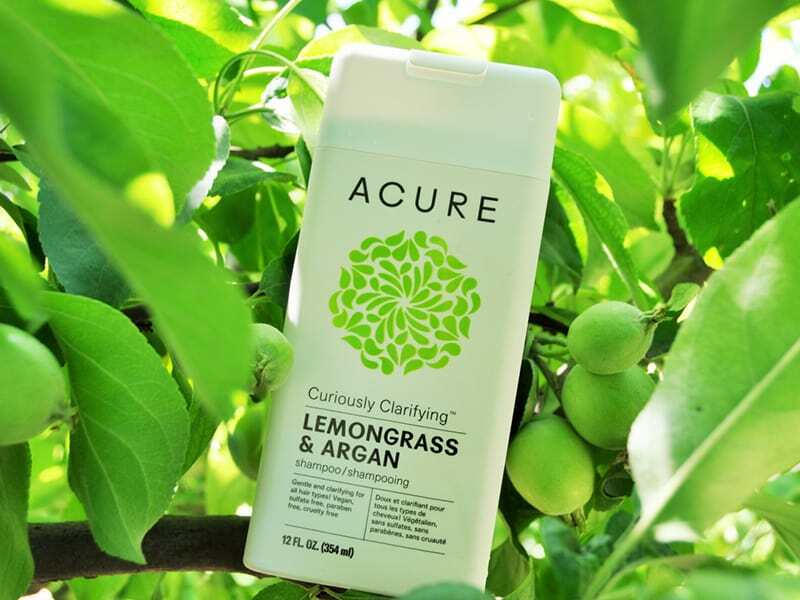 Among the shampoos with the formula to help bring healthy hair with natural ingredients which do not make your hair dry, Acure Curiously Clarifying is definitely a great choice. Not only providing good features as the kind of shampoo without sodium lauryl sulfate and alcohol, but this product also brings a fresh scent of lemongrass. Furthermore, argan oil acts as an effective ingredient to protect the shine of your hair. This product is highly suitable for people with thick and curly hair. It moisturizes your hair strands with the ingredient of aloe vera. However, in particular cases, the ingredients of the shampoo can be irritating to some people. 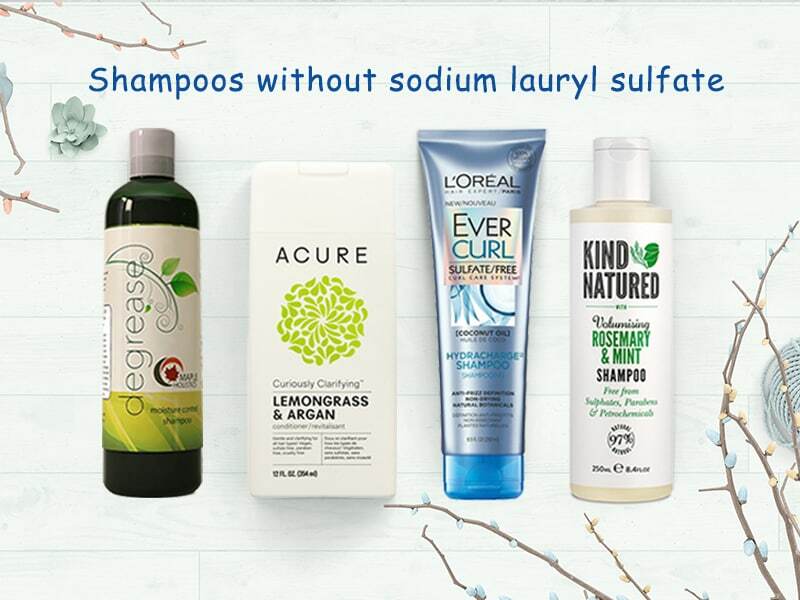 Sodium lauryl sulfate is not a good substance to nourish your hair. Thus, if it is possible, you should choose shampoos and hair products which exclude this substance. Shampoos without sodium lauryl sulfate are often botanical products, which contain natural and nutritious ingredients to nurture your hair. Follow Layla Hair blog for daily inspirations on hair care!